JNTUH B.Tech/B.Pharmacy 1-2, 2-2, 3-2, 4-2 Sem 2nd Mid Exam Time Tables April 2019, JNTU Hyderabad 1-2, 2-2, 3-2, & 4-2 Sem R18, R17, R16, R15 II Mid Time Tables 2019 download. 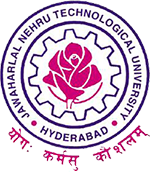 JNTU Hyderabad Univerity has released B.Tech/B.Pharmacy 1-2, 2-2, 3-2, 4-2 Sem 2nd Mid R18, R17, R16, R15 Examination Time Tables April 2019. Students can download their time tables from links given below.